A.C. Grace Company has introduced UNIQUE DERMA™ which contains compounds that promote wound healing and reduce scarring. It may be incorporated in therapeutic programs to help support management of skin conditions. 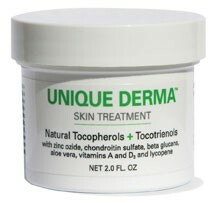 In addition to the powerful antioxidant potential of tocopherols and tocotrienols, UNIQUE DERMA is strengthened by the synergistic antioxidant, anti-inflammatory and wound healing properties of other components such as chondroitin sulfate, beta-glucans, aloe vera, zinc oxide, vitamins A and D3 and lycopene. A. C. Grace worked with their doctors, scientists and product development board to formulate a clinical topical product that could be used as an adjunct treatment targeting four key areas: 1) help reduce inflammation in major skin conditions including eczema, acne, psoriasis, rosacea, and contact dermatitis; 2) help support wound healing and reduced scarring including wounds caused by burns; 3) support protection of the skin from the damaging effects of radiation thus reducing photoaging; and 4) serve as a major component of a long-term complete skin health and anti-aging program which includes behavioral practices, nutrition and supplementation. BioPharma Scientific has released pain's new enemy: NanoRelief. This all natural and quick absorbing pain relief gel can be used for arthritis, strains/sprains, back pain, sore muscles, and joints. Even bruises are no match for NanoRelief's ability to quickly alleviate pain. Compared to some other pain relief gels, NanoRelief lasts longer by penetrating deeper into the skin for more relief from aches and pains than ever before. Say goodbye to next day soreness from a tough workout by using NanoRelief as a post-exercise remedy to relieve muscle soreness before it starts. NanoRelief is sold exclusively through health care professionals and is FDA approved. Its pleasant scent and cooling sensation will not irritate your skin and even the most sensitive individuals will be able to enjoy its benefits. NanoRelief was developed without the use of animal testing and is free of artificial preservatives, fragrance, coloring or any diluting agents. It represents some of the best of nature's remedies and is made from plant extracts that have been used for centuries to relieve pain. Florida chiropractor Dr. Colleen Knasky says, "We can't keep CBD CLINIC™ products in stock. Fibromyalgia patients love it, especially when they have pain flare-ups. Power lifters use it. It's great for all acute and chronic pain. One of our patients was in a car accident a year ago, needing multiple steroid injections and opioids throughout the year. Now they no longer need to use opioids before bed; they just use CBD CLINIC ointment. It's that good." CBD CLINIC Professional Series products, available in 5 formulations and shipping nationwide to healthcare practitioners, are the first to combine FDA-approved analgesic ingredients and cannabidiol (CBD). All of CBD's products are formulated under exclusive collaboration with world-famous Charlotte's Web® CBD, grown and produced in Boulder, Colorado. The CBD used in these products, a medicinal extract from CW's patented strain of hemp, is legal in all 50 states because the amount of THC (the psychoactive chemical in cannabis) is well below the threshold established by the US Drug Enforcement Agency (DEA); there is no worry of THC showing up in urine or blood tests. 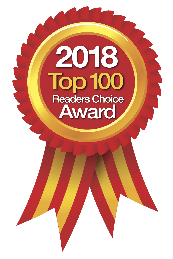 Since their introduction several months ago, chiropractors and other healthcare professionals in over 30 states have been praising CBD CLINIC products' remarkable pain relief, especially for chronic aches and pain. 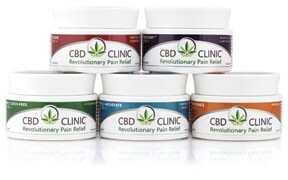 For information, samples or to order product, visit their website, email at info@cbdclinic.co or call 303-223-0863. At FCA National's Trade Expo, GO Life will present, for the first time to the healthcare market, their new Anti-Pain Cream which features a unique combination of ingredients: Arnica Oil, Emu Oil, Camphor, Menthol and CBD Pure Cannabis Oil, a formula designed to help relieve body aches, and muscle and joint pain. Natural and organic, GO Life Anti-Pain Cream is a water-based rub that will not stain your patients' clothes or bed sheets. This anti-inflammatory and analgesic rub helps to manage pain and relieve discomfort caused by fibromyalgia, arthritis, tendinitis, bursitis, sciatic nerve pain, rheumatoid arthritis, and sports injuries; it also helps clear nasal congestion; acts as a bronchodilator; and aids in reducing migraine pain. 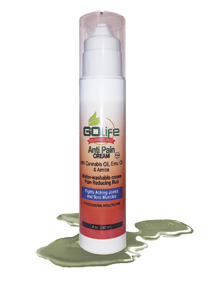 GO Life Anti-Pain Cream is available in an 8-ounce size and a 4-ounce travel kit size, both handy for patients to keep on their nightstands, in their office drawers or in their everyday carrying bags. Together with their other products, Cannabis Oil and Soursop (Graviola) Oil, GO Life offers a complete natural and organic therapeutic treatment for various conditions. Headquartered in San Juan, Puerto Rico, with their manufacturing and packaging plant located in Atlanta, Georgia, GO Life is currently seeking representative distributors for cities throughout the U.S. To learn more, view their website, call Ruben Gonzalez at 787-648-9868. As this profession is always being scrutinized, evidence based EFAC is just what chiropractic needs products that have been clinically proven to work. A crucial issue for supplements and most certainly for topicals is absorption. If a product is not able to reach target tissue, then the product clearly is of limited value. University of Minnesota researchers found that esterified oils are absorbed up to 95% of the time. 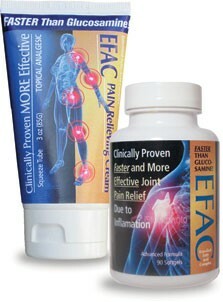 Awarded a U.S. patent in 2009 for its unprecedented anti-inflammatory properties, EFAC is a new tool to complement chiropractic care both as a supplement and as a pain cream. And, with the cost of EFAC being very reasonable, most patients will be able to afford this new evidence based advancement easily. Now you can try EFAC from Hope Science risk free. They challenge you to try these "New Generation" of fatty acids on your 10 toughest patients. If you are not satisfied with the results, Hope Science offers you a full refund. EFAC, which stands for Esterified Fatty Acid Complex, are remarkable oils that are a major advancement to what is currently available. Besides being cellular lubricants with a potent anti-inflammatory-like effect, these oils are also readily absorbed through skin, which enable them to reach sore muscles and joints. This unique dermal absorption raises the bar for topicals, as many topicals have minimal absorption past the epidermis and dermis. 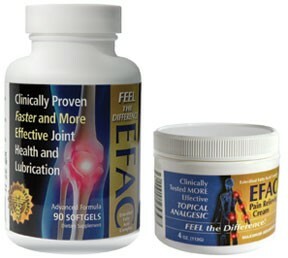 In terms of joint health, the science is clear: EFAC is a new standard. KOOL 'N FIT® Pain Relieving Spray is one of the easiest, most convenient products for use in relieving sore, tight muscles and painful joints; it is very easy to apply â€“ simply spray directly on the affected area and let it dry. There is no need to rub or massage it in because it goes to work almost immediately, soothing and relaxing those tender areas with deep, long-lasting penetration . KOOL 'N FIT creates a relaxing feeling of well-being as it relieves everyday aches and pains. It enhances clinicians' TENS treatments for long-lasting results, facilitating a smooth adjustment. Proudly made in America, KOOL 'N FIT Pain Relieving Spray is ideally suited to all chiropractic applications and for home therapy in between office visits. Orthopedic Pharmaceuticals has developed a new and innovative 6 oz non-aerosol continuous spray for its ORTHOGEL® line of topical analgesic products. The new continuous spray can does not require the patient to pump the bottle because it contains compressed air to dispense the product onto hard to reach areas like the middle of the back and lower legs of patients with back problems and arthritis. This product can be purchased from leading distributors and Orthopedic Pharmaceuticals. The product contains a higher level of menthol and other ingredients to make it very effective for the temporary relief of pain and is compliant with FDA Topical Analgesic Guidelines. Orthopedic Pharmaceuticals also offers ORTHOGEL in a 3 oz roll-on, 4 oz tube, 16 oz pump, 32 oz pump, gallon pump and sample packets. The ORTHOGEL products contain ILEX, Menthol, Camphor, Vitamin E, Aloe, Curcumin, Boswellia Serrata, OPTIMSM and Glucosamine. Contact ORTHOPEDIC Pharmaceuticals today to be one of the first health care providers to offer the ORTHOGEL continuous spray and other unique and innovative products. RockTape, a global leader in sports medicine products and education, recently introduced RockSauce Chill, a cooling topical cream with a convenient roll-on applicator designed for mess-free, temporary relief of minor muscular discomfort. RockSauce Chill contains 6% menthol - 33% more than competing brands. This key ingredient, called a counterirritant, creates a powerful cooling sensation that quickly helps relieve pain, and complements RockTape Chill's other soothing components including arnica, aloe, and green tea. "It's one of the most useful topicals in my practice," said Steve Capobianco, Director of Medical Affairs for RockTape and owner of Project Move, a combined gym and chiropractic facility in Denver, Colorado. "The stronger menthol formulation and ease of application has meant it's replaced other topicals on my shelf. It's my go-to for quick pain relief." RockSauce Chill is available now from Meyer, Scrip and Patterson, RockTape's trusted medical distributors. To learn more, call 408-912-ROCK, visit online at www.rocktape.com/chill or reach out to them on Facebook, Twitter or Instagram. Silicon Valley-based RockTape helps patients and athletes "go stronger, longer" with their premier brand of kinesiology tape, powerful pain-relieving topicals, exceptional movement methodologies, mobility tools, and joint support accessories. Arneu Gel, a patented microvoltage pain relief gel, is now available exclusively through The Vital Health Depot. Arneu Gel is a topical analgesic and counter-irritant gel for temporary relief of minor aches and pains that biochemically generates up to 300 microvolts for a tingling, healing feeling. 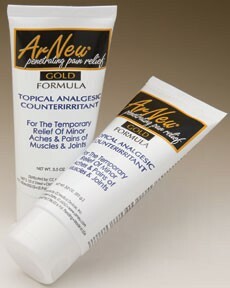 The secret of Arneu’s self-generating biochemical microvoltage pain relief gel includes specific ratios of menthol, camphor, potassium and spirulina chlorite, as well as a host of natural homeopathic ingredients: aloe vera extract, capsaicin, deionized water, grapefruit seed extract, green tea extract, orange peel extract, queen of the prairie extract, rose water, witch hazel, and yucca extract. Individually and combined, these ingredients will provide temporary relief of minor aches and pains through the topical cooling and warming power. The body’s natural biochemical reaction generates a low level electrical field up to 300 microvolts to create the tingling, healing feeling. The living body naturally generates micro electrical fields through biological chemical activities. Electrotherapy is a well accepted form of therapy for relief of pain and inflammation because it activates the natural biological healing processes. The increased metabolic activity from applying Arneu gel generates that tingling, healing feeling that has been shown to last from 45 minutes to 8 hours. Arneu gel should be applied to the skin but not completely rubbed in. The skin will absorb it and the activation process works best when it is not completely rubbed in.